Provence France is teeming with sunflowers, if France wasn’t bright enough before, when the sunflowers come out its just magical. This is definitely one of the most gorgeous countries in the world – its just that pretty! 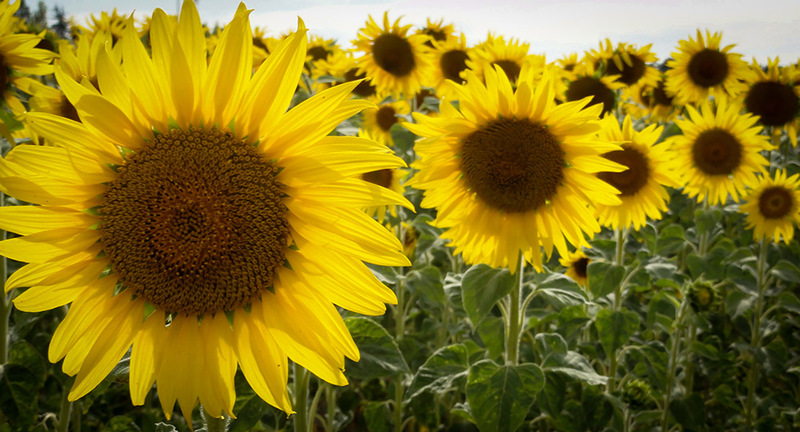 that’s so funny- i was browsing my sunflower fields shots a moment ago think ‘mustard’ entry- you got it! So beautiful as you capture the color when the sunlight is right behind the flower! So gorgeous. Nothing more wonderful than being in the middle of a sunflower field. Thank you for sharing! I love sunflowers. They are such bright and happy flowers.